This year, Adult Piano Adventures gets a fresh new look, new online support, and a new supplementary repertoire library. The redesigned course enables the adult beginner to play music for pleasure while developing musical understanding. Combining lessons, technique, and theory in a single volume, the “All-In-One” method books are both comprehensive and convenient. Online video and audio support is now included. And, as always, Adult Piano Adventures works equally well in personalized, private lessons or in classroom settings. 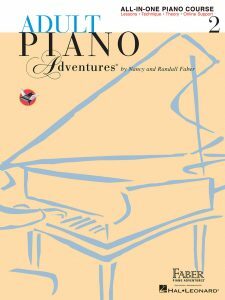 Adult Piano Adventures Books 1 and 2 have a new layout that presents information cleanly and clearly. Improved information hierarchy puts separate spotlights on major concepts and music reading, letting students easily see what’s new and what’s important. And teachers can appreciate the updated positioning that makes the duets easier to read without distracting the student. 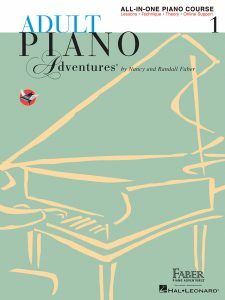 Those already familiar with Adult Piano Adventures will find the same great content and pedagogy as previous editions. In well-organized lessons, students are introduced to new topics while integrating previous skills. And analytical “Discovery” questions and “Creative” activities invite deeper study and personal expression. New to the series, a collection of supplementary repertoire books provide hours of enjoyment for extended learning and fun. 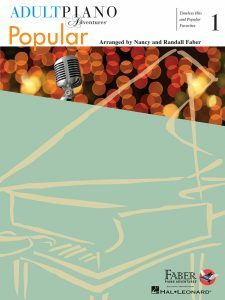 Students can play beloved classics, popular treasures, and seasonal favorites in six books arranged at just the right level for adult beginners and those returning to the keyboard. As teachers, we typically only have the luxury of working with our adult students for an hour a week or less. Let the sixty-four new videos featuring Randall Faber augment your teaching, giving your students motivation and reinforcement all week long. 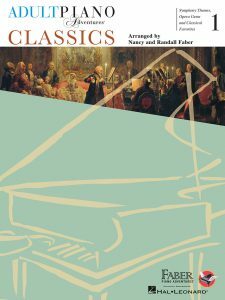 In two videos per unit, Dr. Faber’s concise and inspirational format provides overviews of theory concepts, musical highlights, ideas for improvisation, and models of technical gesture. Watch the videos online or in the Piano Adventures Player app and accelerate your musical training! Audio accompaniment tracks inspire performance with rhythmic vitality, forward motion, and musical expression. Songs with audio support are clearly noted at the bottom of corresponding pages in the method books, with easy online access. Adult Piano Adventures is also available as a CD/DVD set. And with the new Piano Adventures Player app, you can access audio on your mobile devices. Upgrade your audio experience with Piano Adventures Player—the official play-along app with high-quality instrumental accompaniments that reinforce lessons and repertoire. A simple slider adjusts to any speed and interactive tools make practice more productive. Control parts and volume, set loops for rehearsal, use the built-in metronome, and follow along with the keyboard and score views. Get the free app on the App Store for iPhone or iPad.